Today I really wanted to go for a run, I feel I haven’t put enough in it lately. But of course I am now coming down with a cold. My throat hurts, my head hurts and I keep sneezing. 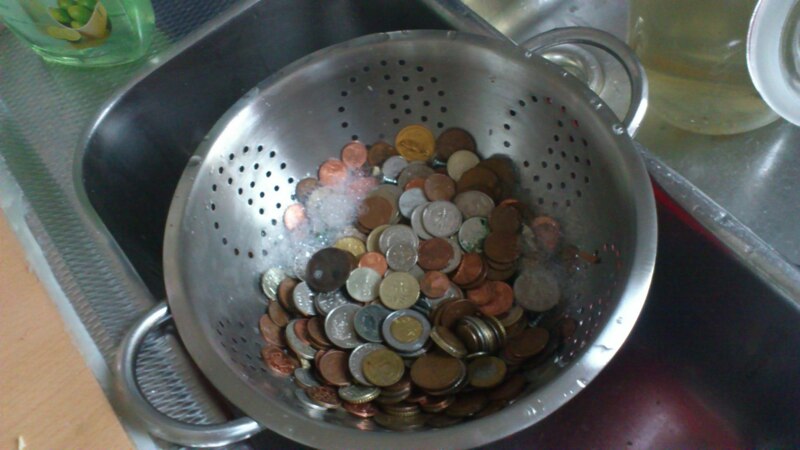 Instead I spent the night counting up the Jar Money (after doing something one might call laundrying money). 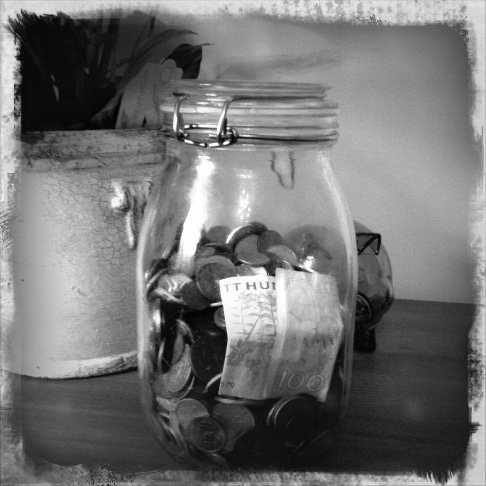 For you how haven’t read previous post on how the money jar came about, you can read it here or just get the short re-cap. I was at a party, the party got out of hand, I came home with a big jar full of money. Sad part is that not all money in the jar is actually worth something. 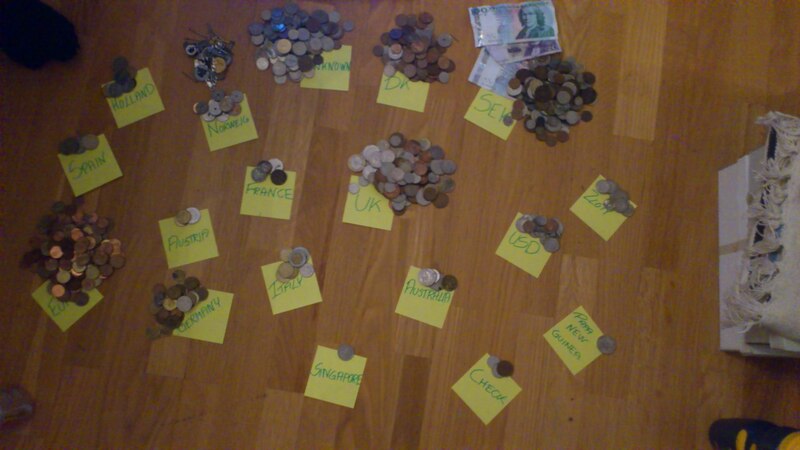 But I have sorted them all out and counted up the ones that are worth something, or I don’t have to pay more than they are worth to exchange into local currency. The coins that I can not use I will not let go to waste. On Friday I will go flying and on airports the usually have those big bins where you can drop your money for charity. It won’t go towards my collection, but it is the finally destination that counts in the long run. Now I’m only hoping that this cold will be a short one, otherwise I will have to walk the race next week and that is not acceptable at all. What I am doing for the possible ones are trying to get my friends to”purchase” them of me. For example the euro ones are all the “brown” coins, the small ones that you can’t really exchange here but are fully usable in euro countries. The same with the dollars and the pounds. So we will see what the Money Jar actually end up donating in a few days. Next Post The wallet diet works!